Whether people have noticed or not, chatbots are all around us. Either in applications, messaging platforms or on your favorite websites. Getting information from a business or making personal arrangements is now easier than ever with chatbots. Getting to this point in technology has been a long and arduous road, but the future is bright, and the uses cases for chatbots are expanding at an exponential rate. How did chatbots come about? Artificial intelligence made its presence in Dartmouth Summer Research Project on Artificial Intelligence in 1956, led by John McCarthy in a 2-month research conference at Dartmouth College. It brought about concepts like the machines making use of language to solve problems. The Alan Turing test was used to demonstrate that a computer can be considered an intelligent conversation. But only if it couldn’t be easily distinguished from human conversation. This would be limited to a text-only channel such as a computer keyboard and screen. Thus we can see the direction to have machines understand human language and simulate it. ELIZA, a computer program developed in 1964 is believed to be the first chatbot. ELIZA is the earliest examples of Natural Language Processing (NLP), a pivotal feature used in chatbots today. NLP is part of Artificial intelligence that interprets what humans say by words and phrases. Today, many applications use Natural Language Processing (NLP) to interpret human language, such as Amazon’s Alexa, Apple’s Sira, Google Assistant, & Microsoft’s Cortana — which combine voice & graphical user interfaces. You may have been using chatbots already through the likes of Facebook or Google. Chatbots have evolved from being used for research purposes, to a more utilitarian and daily use. If you have used customer support through live chat recently, the chances that you have been talking to a chatbot are very high. The reality is that chatbots are ever present and used across industries in various capacities. Where do businesses use chatbots? Since chatbots are conversational agent software with the ability to imitate human speech, they can reside on any website or messenger platform. Chatbots process text entered by the user and respond according to a set of algorithms that interpret the intent of the user. The bot allows companies to apply a chat interface with code into their website. Simple bots take little time to create, whilst, complex chatbot solutions take more time and development. Artificial intelligence capability chatbots have a higher price point than their basic counterparts due to time and development. Ordering your pizza: Chatbots are being used by many pizza companies to order pizzas online with ease. You can order by just texting or with voice chat from anywhere. 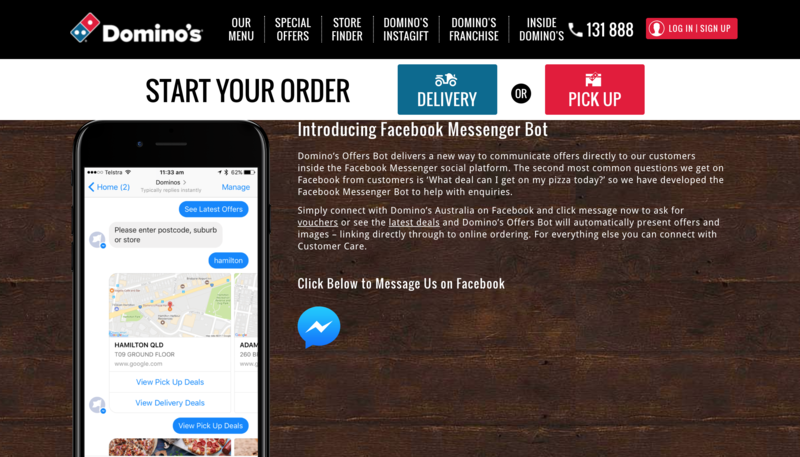 The Dominos pizza franchise has been an early adopter of chatbots. Users have the ability to order a customized pizza with optional toppings or simply recall a previous pizza order. This process allows customers to track their order in real time. All this can be done right from the Facebook messenger chat application. Product suggestions to help consumers: Customers are increasingly turning to e-commerce for their shopping needs. Whether customers are looking for something in particular or just browsing bots can assist in the search. Based on what the customer is browsing, chatbots can be used to suggest related products. For example, if a customer is browsing for trousers, the chatbot can suggest a matching t-shirt or an accessory. 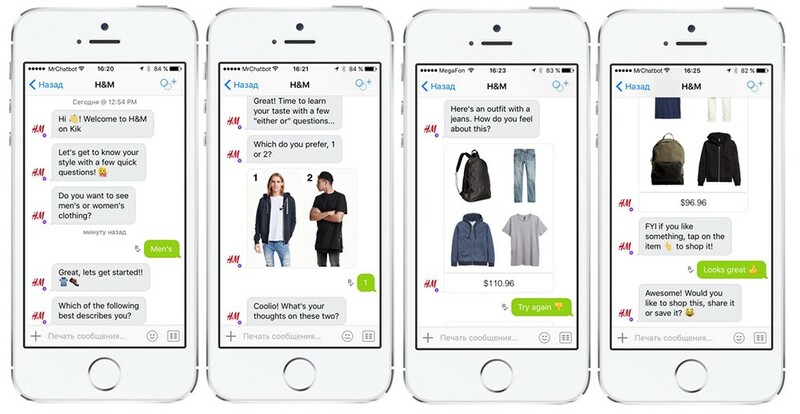 The H&M clothing brand has developed a chatbot that helps customers formulate outfits and gives them the option to mix and match with their personal wardrobe. Similarly, if a pizza customer is ordering a new pizza, chatbots can suggest them to try a new flavor or a new cheese topping. Chatbots can give valuable suggestions based on the buying preferences of customers. Chatbots in customer support: Chatbots have made a big impact on the way that customer support operates. All organizations need to support their customers. This is a critical factor that makes or breaks organizations and drives profitability. It enhances customer loyalty and guarantees return business. A happy customer is more likely to refer your business to others and bring in more sales. Additionally, customer support chatbots provide instant answers to customer queries. They can address customer complaints, solve common issues, answer frequently asked questions, track order status and pass on a query to a human agent when needed. Customers are often placed on hold when attempting to reach an agent nor to be transferred several times prior to finding an answer. Chatbots have changed this for the better, with their instant response capabilities and increasing customer satisfaction. Weather bots: Ever wonder if you should take your umbrella out today? 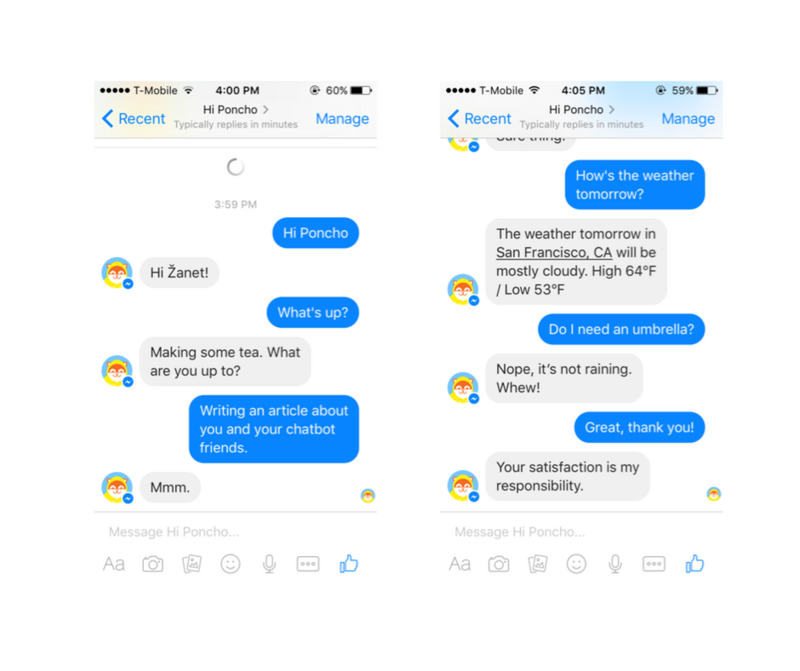 Just ask your weather chatbot through voice or text and get an instant answer about the day’s forecast. Users may also set the weather chatbot to share this information at a particular time every day, like an alarm. Personal finance assistants: Gone are the days when you had to visit the bank to conduct business and gain information. Now it is possible to ask the bank chatbot and get answers instantly. Banks have been using chatbots in a major way to help their customers track their personal finances. This could be in the form of information on their mortgage accounts, loans or account balances. Chatbots are being used in the marketing of financial products and mortgage. Bots also help in keeping on track with stock market notifications or help in transactions too through valuable tips in a timely manner. See how bots benefit FinTech in our blog post. Scheduling meetings: Chatbots can also act as your assistant and schedule meetings for you. The Clustaar chatbot allows users to schedule meetings, interviews, demos and more. Travel: Travel bots make it easier than ever to book hotels or track flights. 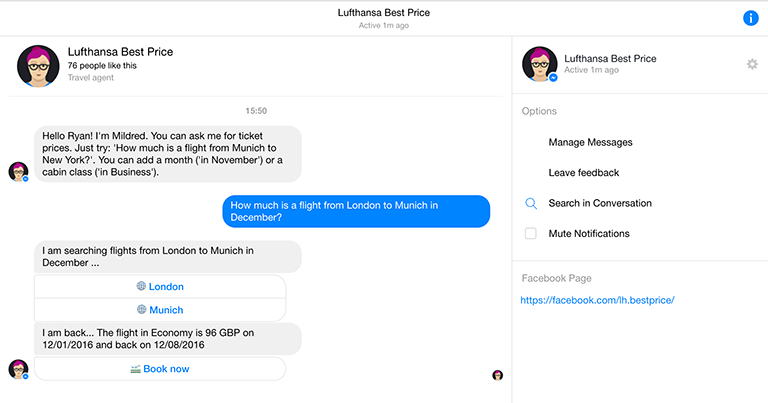 Kayak’s chatbot in Facebook messenger lets you book your holidays and flights all in one place. Making travel arrangements typically involves multiple services or applications. Travel bots allow users to ask questions and securely book travel arrangements through Facebook Messenger. Find a restaurant: Finding a restaurant is now easier than ever when you ask a chatbot. By merely typing in your preferred cuisine, price range and location the bot can recommend tailored results based on your preferences and customer reviews. Some bots go as far as to make reservations on the user’s behalf. 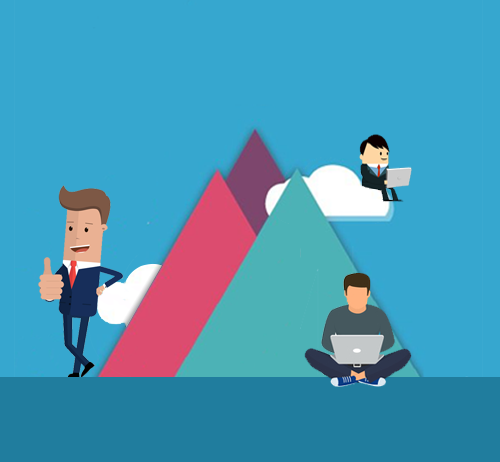 The list of chatbot benefits is driving the rapid growth in the bot industry. 24×7 availability: Chatbots can be installed on any website or instant messenger platform and are available round the clock. This is a useful tool to address customer queries after hours and without the wait. This is beneficial to cater to customers worldwide regardless of the time zone. Handling recurring customer queries: Customer support agents spend valuable time answering recurring questions. 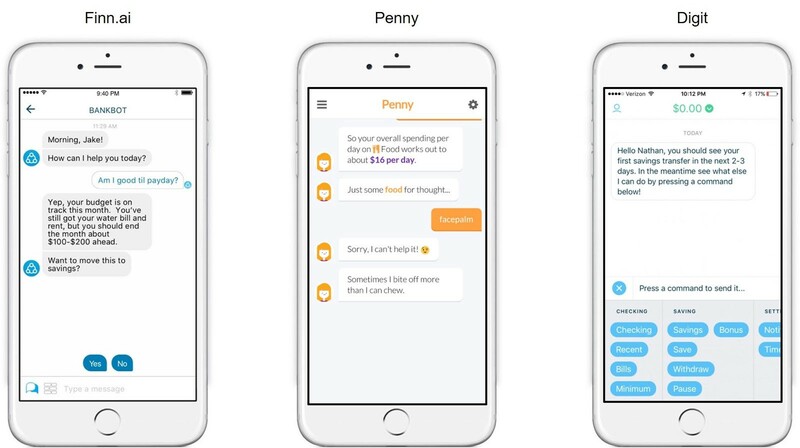 Building a chatbot with the ability to answer FAQ’s will allow customer support teams to tackle more pressing questions, saving time and costs. 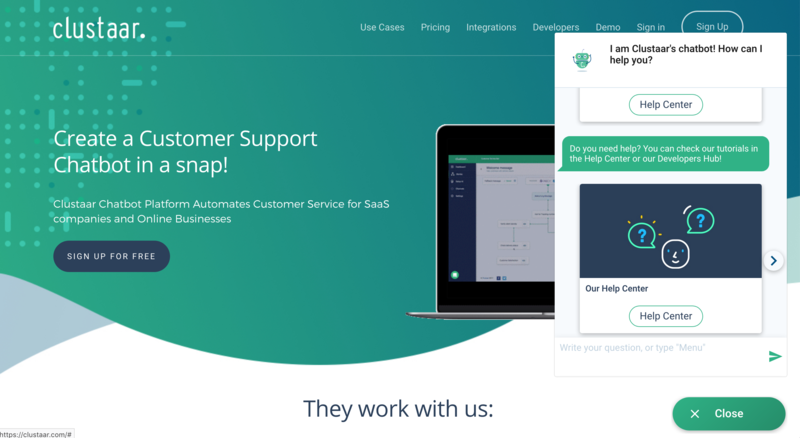 Adding a chatbot to customer support increases efficiency by answering low-value queries and passing on the more complex ones for immediate attention. Multiple language support: Chatbots can support multiple languages making it easier to communicate with customers in their native language. Capturing customer insights: Bots automatically collect data from each conversation for companies to gain customer insights and refine their product according to customer need to better serve their clients. Lead generation and marketing: Chatbots help with generating and qualifying leads and then pass them to human agents. The agent then follows up with the information captured by the bot to convert the prospect into a client, boosting both sales and revenue. 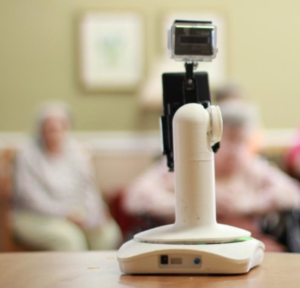 Endurance has launched an open source project on the development of a robot-companion (chatbot) for senior citizens and patients with Alzheimer’s disease. The primary function of the chatbot is to be a virtual companion. To speak with users on general topics: about the weather, nature, hobbies, movies, music, news, etc. The chatbot asks questions, reacts to the answers, is able to speak on various topics, and can share interesting news and facts from Google. Physicians can review communication logs taken from the bot to identify potential degradation of memory function and communicative obstacles that could signify deterioration of the patient’s condition. Another interesting use is Casper’s Insomnobot 3000 which is a friendly, bot designed to keep you company when you just can’t fall asleep. The possibilities and uses for a chatbot are endless. Bots are a great way to give customers what they need at record speed and keep them coming back for more. 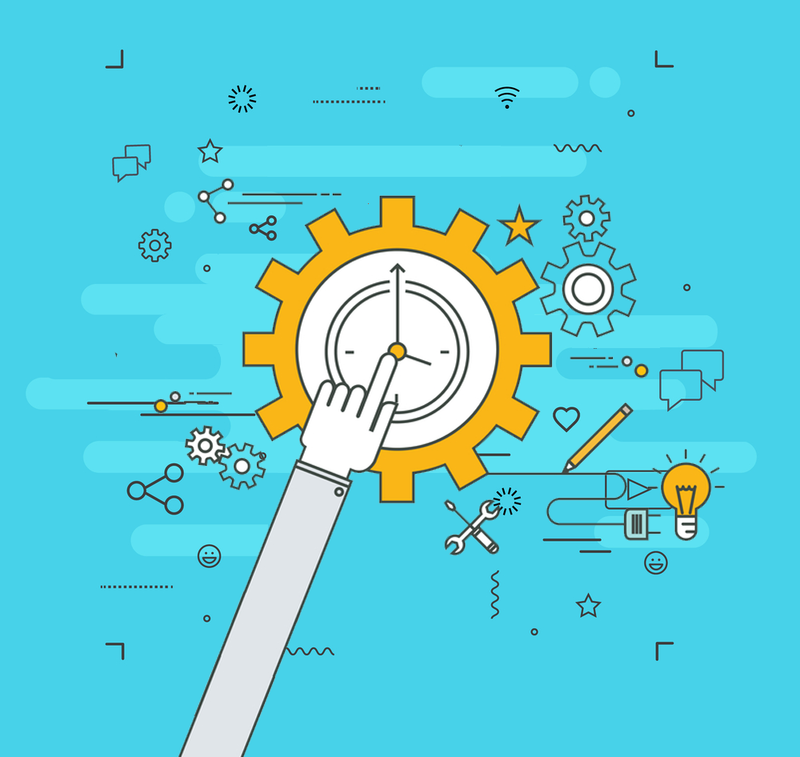 Learn more about engaging with your clients around the clock and increasing revenue. Build and demo your chatbot today, with Clustaar, the bot building platform.